This useful Contact Log can be modified using a few parameters. Type of contact like Letter or Phone call, etc. 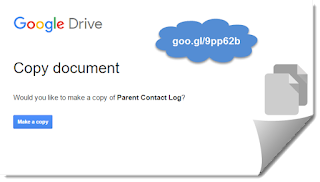 Copy this https://goo.gl/9pp62b to your Google Drive. 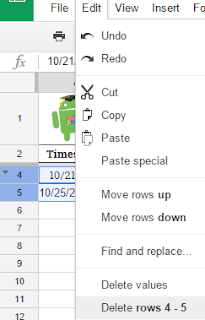 The Google Sheet will appear. 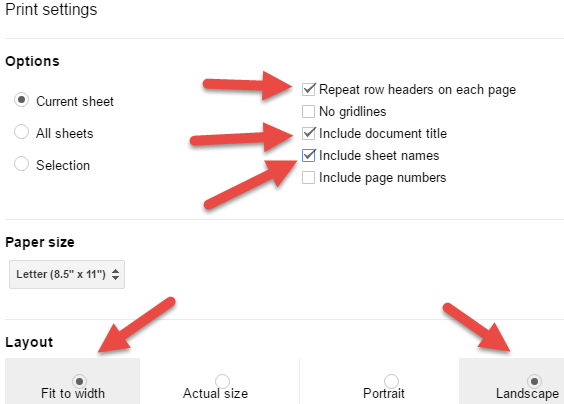 But on Google Drive, two files will appear. 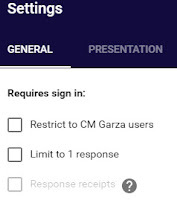 The second is the Google Form. 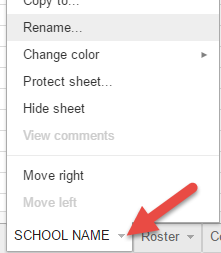 Optionally, you can rename the files. 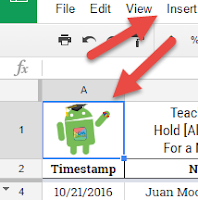 Edit the Google Form to add or remove options as needed. Edit the Google Sheet. Start by adding your school logo and inserting it at the top left. The Roster tab should be edited. You will remove the students there and add your students. A unique identifier should be there. It's usually called Student ID Number. 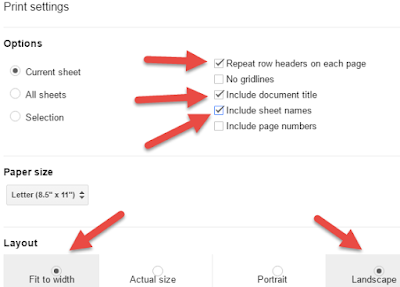 But, don't change the headings (Name, and Unique ID). After, a new column will be created in the Form Responses tab. 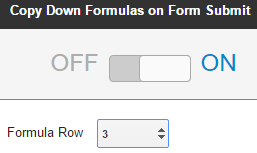 Make sure that Formula Row 3 is selected. An empty submission may have been created. Open the form and try it. 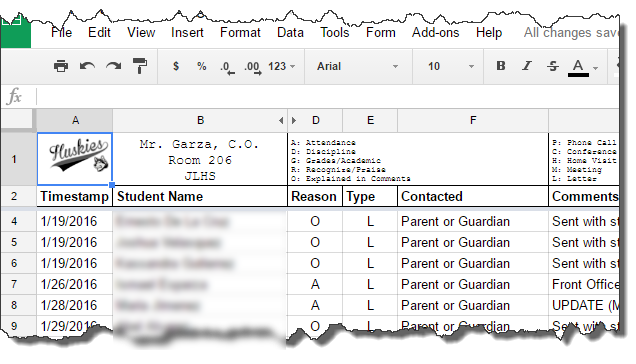 Delete any rows you don't need by selecting the numbers (not the cells). Ready to print? Here are a few settings that will make it look nice.